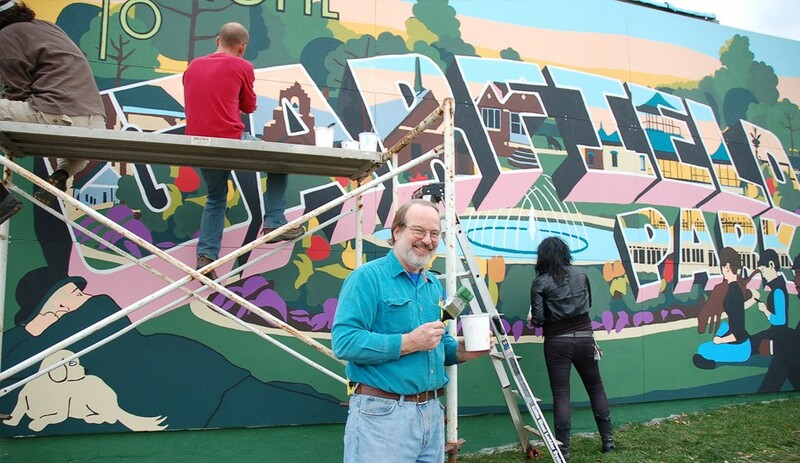 As a starting project with our work in the Garfield Park neighborhood south of downtown Indianapolis, Big car collaborated with the Garfield Park Neighbors Association on a gateway mural placed at the northern entrance to the neighborhood at Shelby and Raymond streets. 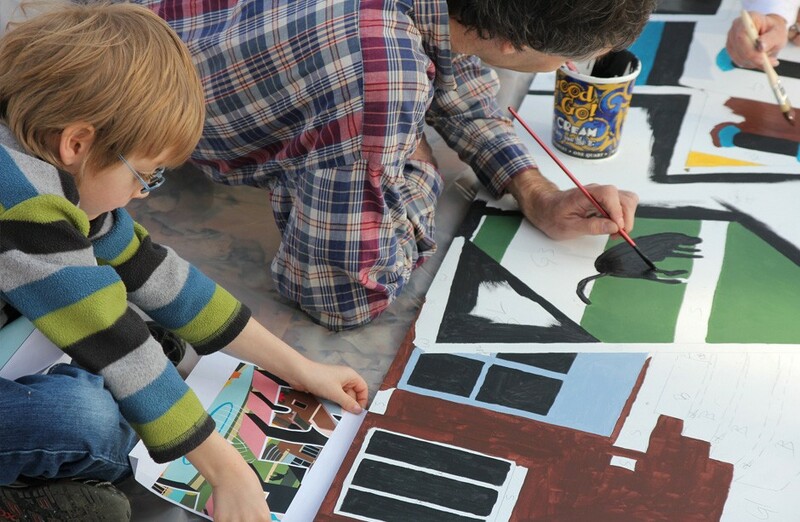 Big Car’s Andy Fry designed the mural in collaboration with a large group of neighbors who offered input on the themes and content. 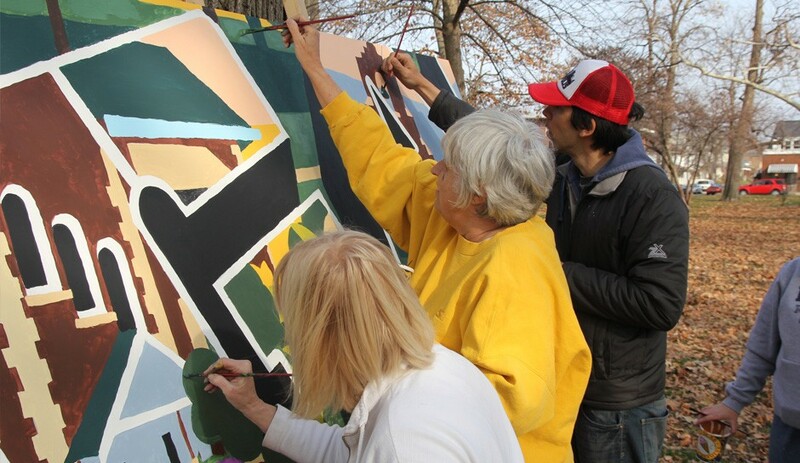 More than 50 neighbors also volunteered to help paint the mural, working on sawhorses and easels under the towering oak trees as leaves fell in the park. 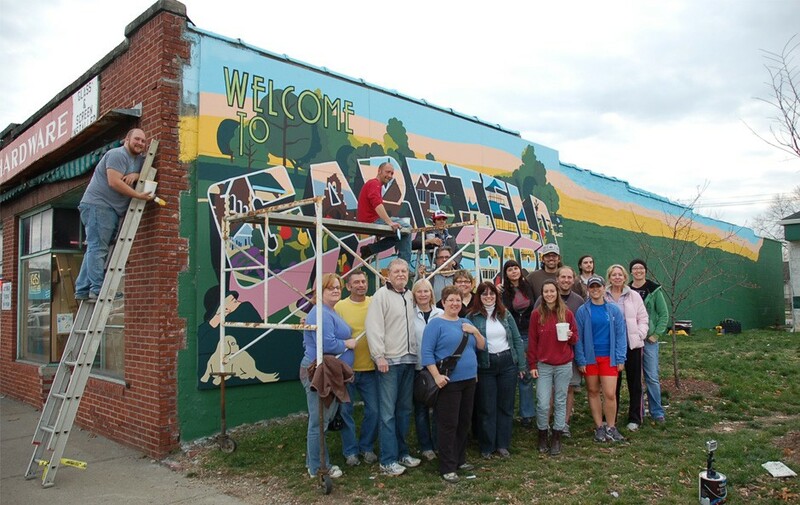 Hard costs of the mural were funded by a grant by Lowe’s and Keep America Beautiful and Big Car staff donated our time to this project. Welcome to Garfield Park from Big Car on Vimeo.